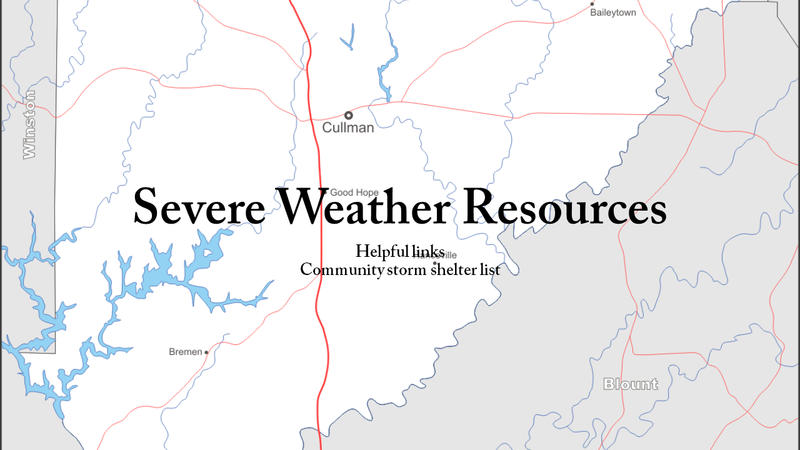 CULLMAN – As Alabama braces for significantly severe weather this afternoon, it's important to be aware of the resources available for assistance. Below is a list of links that could be helpful to keep on hand today. WHNT19 Chief Meteorologist Jason Simpson. While Cullman is in the Birmingham news market, it is in the HUNTSVILLE weather market. The Tribune will be following Simpson for all weather updates today. Cullman Electric Cooperative. Report outages at 256-737-3201.